Late fee: After 10/1/2009 a late fee of $10.00 will apply to all Participant registrants. 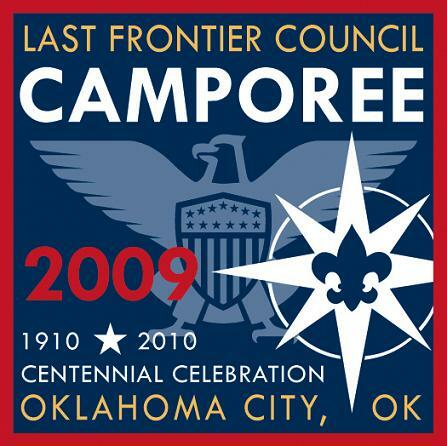 On Friday, Saturday and Sunday, October 23-25, 2009, the Last Frontier Council will hold the largest event in its history to officially kick-off the celebration of the 100th Anniversary of the Boy Scouts of America. The Council Camporee is a purpose-driven celebration designed to help units, districts and the council celebrate the BSA centennial throughout the year 2010. The event will be held on the property of the Oklahoma Publishing Company, located on the east side of the Broadway Extension, between Wilshire and Britton Road. Event staff register individually at the staff registration page. The staff fee is $15. Registration for this event is online only. Instructions can be found in the Leader Guide on pages 15-16. You may pay by credit card, PayPal, EFT, or send in payment to the council office by mail. Payment is due upon registration. Fees are not refundable. You must select and confirm a payment method at the end of your online registration in order for your registration to be saved. If you do not select and confirm a payment method, all your information will be lost. Please make checks payable to Last Frontier Council. 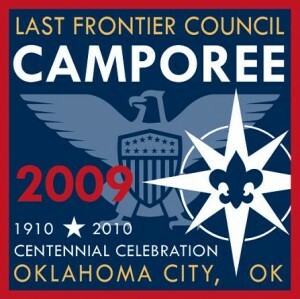 The Centennial Council Camporee registration is ONLINE ONLY!